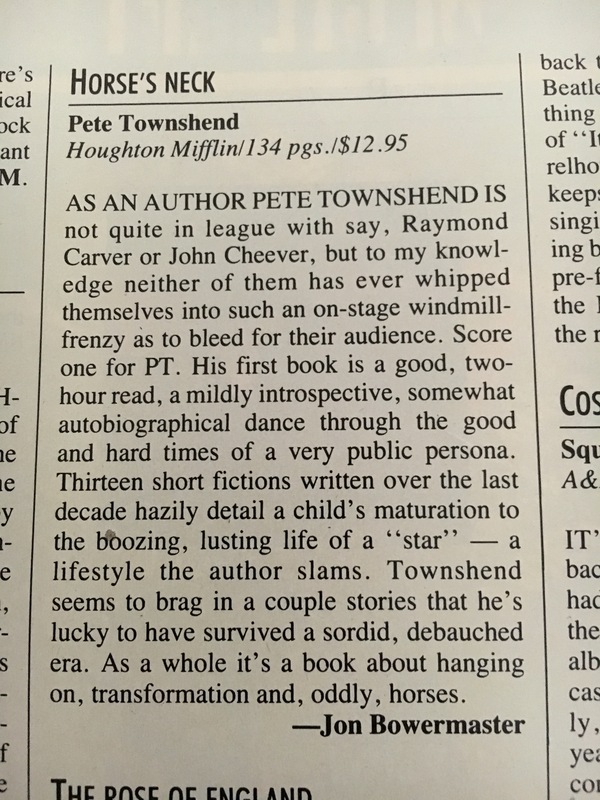 Most music fans of a certain vintage know Pete Townshend’s story: bullied geek grows up to become one of rock’s greatest (and conflicted) visionaries. He gifted the world with such songs and albums as “My Generation,” “I Can See for Miles,” Tommy, Who’s Next, Quadrophenia and “Who Are You?” (“are you, are you, are you, are you…”), and, in 2012, published the most literate of all the rock memoirs to date, Who I Am. Music fans of a younger vintage, however, likely know his work from the CSI franchise and TV commercials, where some of the Who’s greatest songs sell cars and whatnot, and possibly from their straight-ahead 2010 Super Bowl halftime performance. Some critics (and fans, too) believe that the Who died in 1978 with wild man-drummer Keith Moon, but that’s a topic for another day. (I think that’s a silly argument, however.) 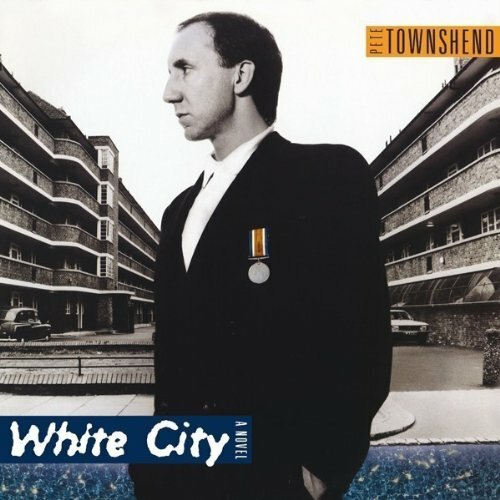 Instead, I’m stepping through the time portal to November 1985 and Townshend’s under-appreciated White City: A Novel album. Yes, a solo album – his fourth or fifth, depending upon whether one includes his 1977 album with Ronnie Lane, Rough Mix. Of White City, Rolling Stone’s Rob Tannenbaum called it “his best work since Empty Glass.” But, despite the acclaim, radio play and MTV videos aplenty, sales lagged – just as they had for its predecessor, 1982’s spotty All the Best Cowboys Have Chinese Eyes. Each made it to only No. 26 on Billboard’s album chart. (Empty Glass, by comparison, cracked the Top 5.) There are quite a few reasons for that, but the primary reason: the generational tide was turning – out with the old, in with the new, etc. After a weekend home with the folks, I tumbled into my 1979 Chevette and set out for the Penn State mothership on a glorious, Day-Glo Sunday morning. It was a journey that could take anywhere from three hours (my personal best) to, due to traffic, upwards of five, and one I often made with passengers. This time, however, it was just me. The piece’s final movement, “Come to Mama,” cuts to the core that the prior songs, including those on Side One, danced about: the downside of unfettered pride, which is often nothing more than an unconscious defense mechanism. I liked this one a lot, especially the first and third tracks which appeared on more than a few of my carefully-crafted mixtapes back in the mid Eighties. “Face The Face” is, in fact, the opening track on the infamous Boxing Tape featured HERE</b.. Interesting to note that when I wrote that original post three years ago this month, White City had not yet been added to Spotify’s library. (Nor had AC/DC’s catalog and the tape featured two of their songs.) Thanks to your post, I went back and updated my own post and the accompanying playlist.